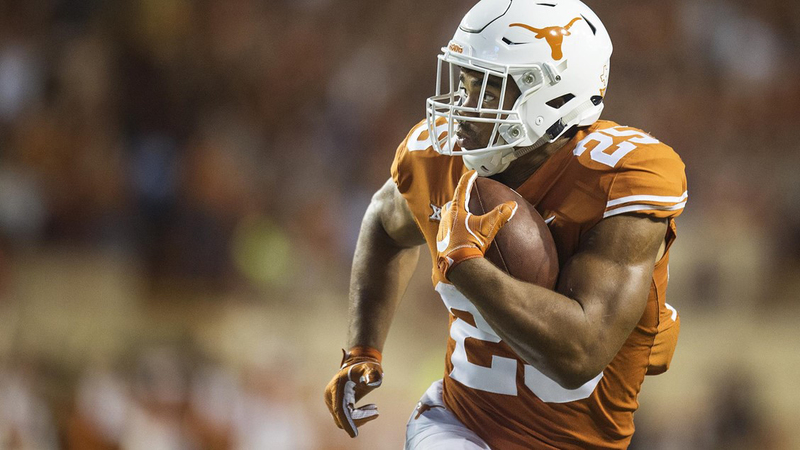 Texas football head coach Tom Herman said he and the UT coaching staff would consider simplifying the rushing playbook in an effort to help Chris Warren and the Longhorns run the ball more effectively (photo courtesy of texassports.com). Texas returns home this Saturday after two straight weeks on the road to face woeful Kansas, with kickoff at Darrell K Royal-Texas Memorial Stadium set for 5:05 CST. The Longhorns have won just once in their past four outings, and most recently lost to then-No. 8 TCU, 24-7, Saturday in Fort Worth, a situation that has their backs firmly against the wall as far as any postseason hopes are concerned.